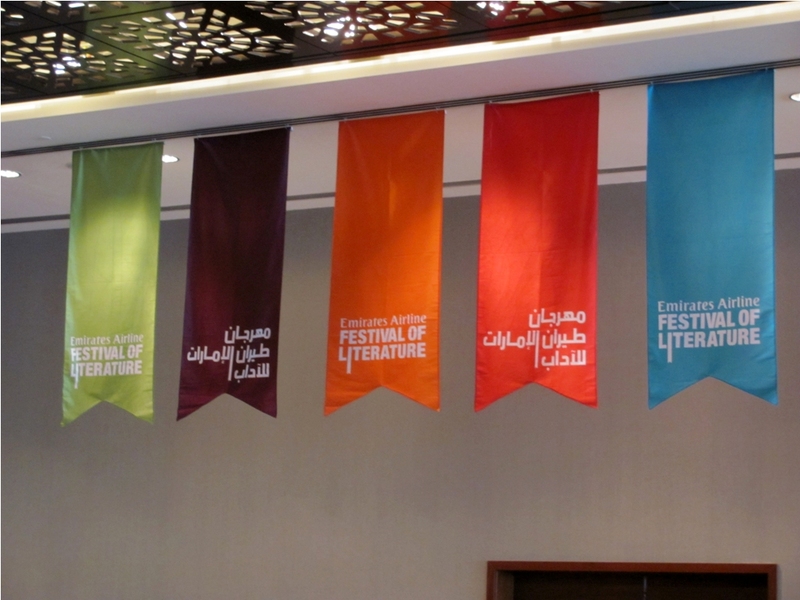 The Emirates Lit Fest, as it’s popularly known, was held in Dubai from March 8 to March 12. They have a lovely lineup of talks and workshops conducted by authors from the Middle East region as well as internationally. 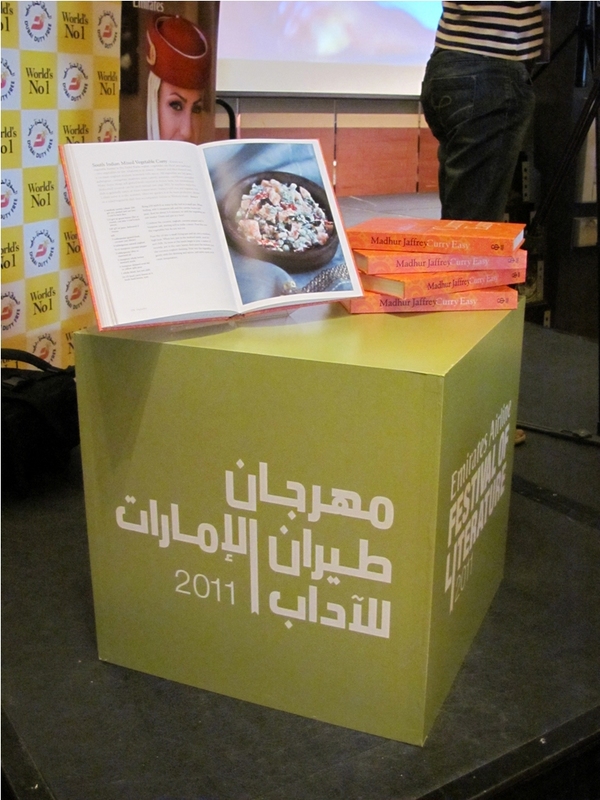 One thing I’d really love to bring people’s attention to was the Emirates LitFest 2011 Twitter story. Among the impressive group of authors, 18 of them tweeted a chapter each (ergo, each “chapter” was 140 characters or less) and the resulting story can be found here. 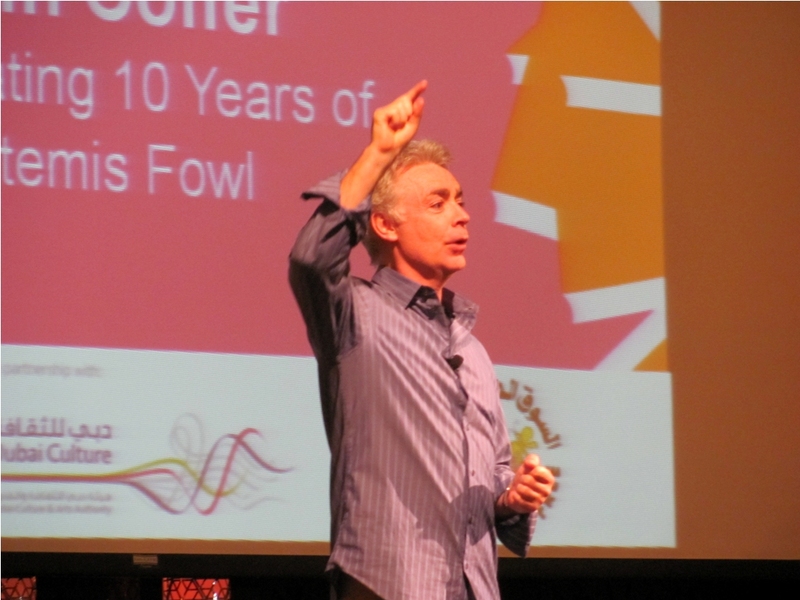 Anyway, I went on March 11 to attend three talks, and what a crowd there was! 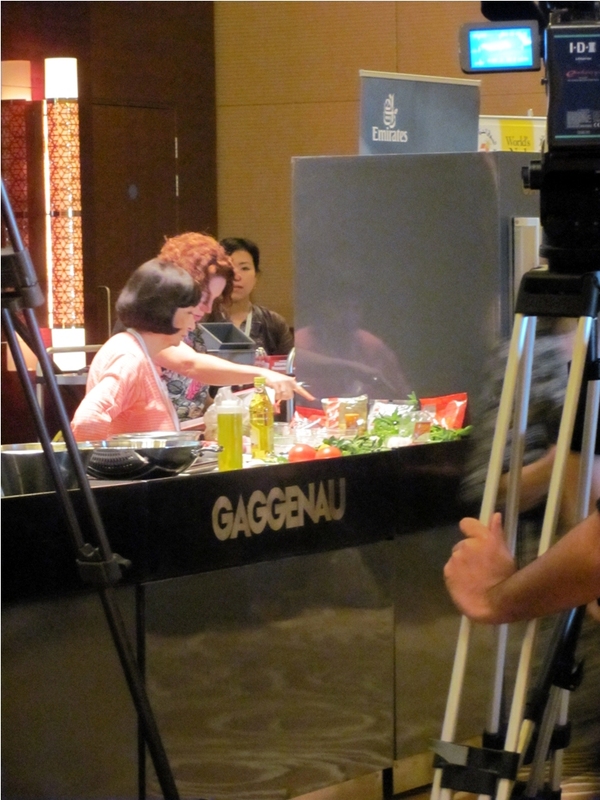 The first session I attended was a live cooking demo by Madhur Jaffrey at 1.30pm. While I got there on time, in fact, slightly earlier, there was a very long queue for her workshop. But the line soon started moving forward and I met up with lovely women I knew from Twitter and food blogs. We entered, found ourselves a comfortable spot and started clicking photos. Apparently there were some technical problems with the temporary kitchen set up in the hall, which had caused the delay. 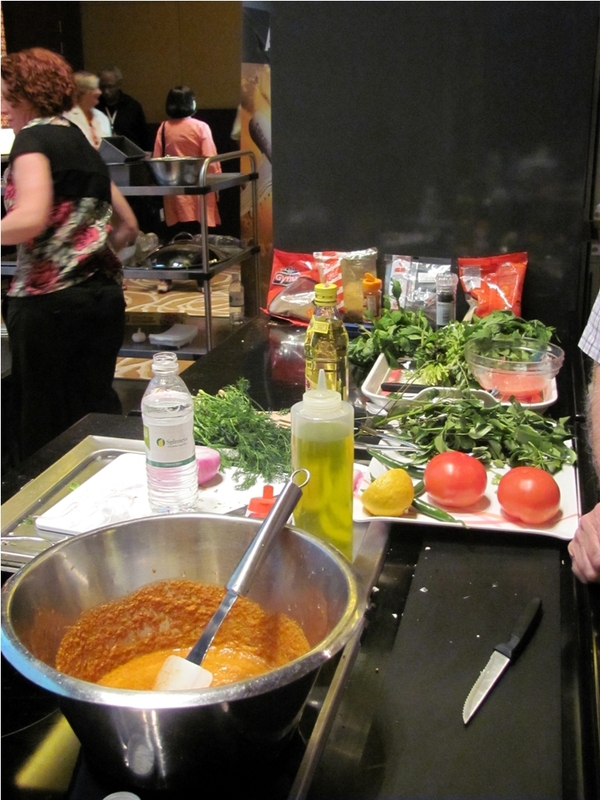 However, once the writer appeared and started working her magic, we all enjoyed a session with kababs and quips. 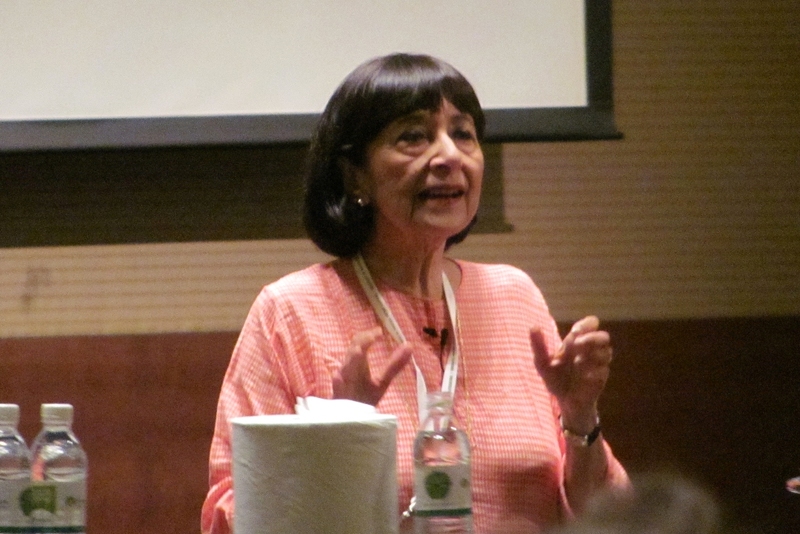 One gripe: due to the initial delay, the session finished slightly later than planned and the delicious-looking kababs that Madhur Jaffrey had prepared were not passed around the audience as they were originally supposed to be. 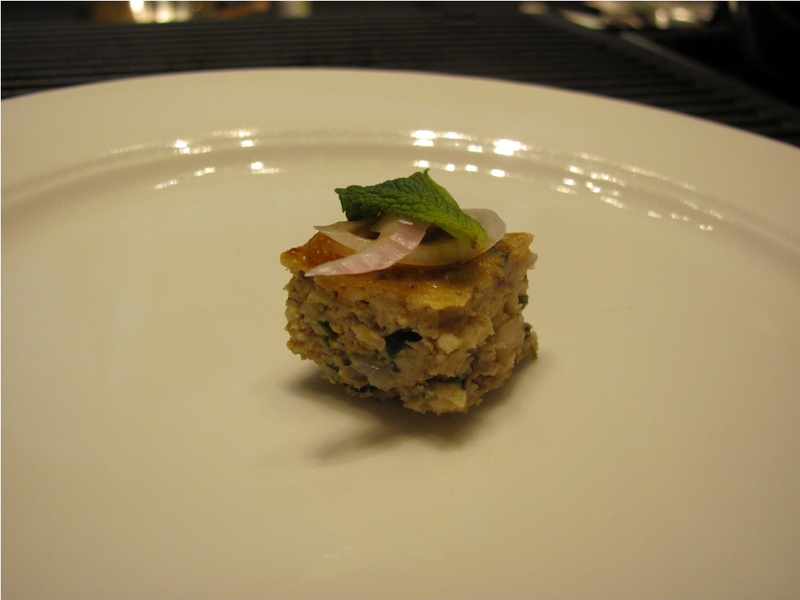 Alas…that lone piece of kabab in the end was claimed by a fellow food blogger, Linda, who stated it was really good. Note: I’ve a detailed review of this particular session coming soon on another website I write for. 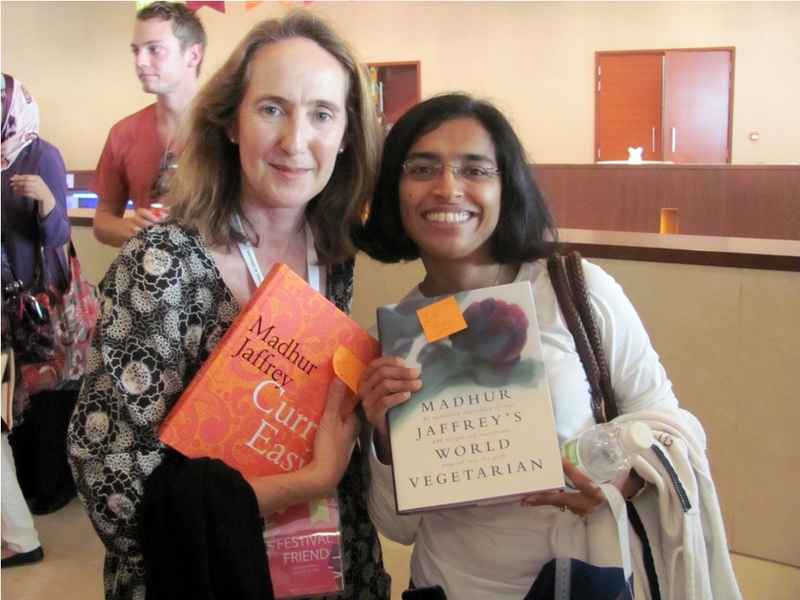 Then Linda and Sally stood in line to get their cookbooks signed! 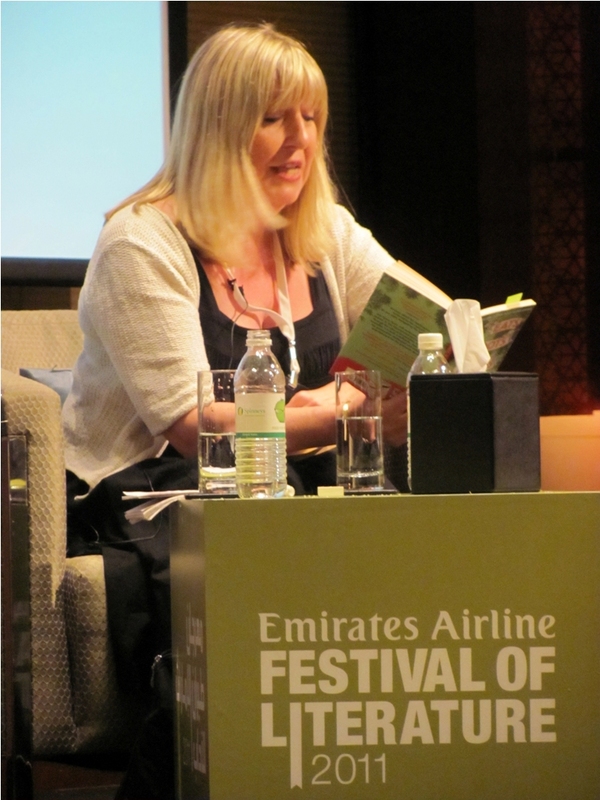 Soon though, it was time for the 3pm session with the author of Eats, Shoots and Leaves, Lynne Truss. I first read her book during my Masters degree. I’d borrowed it from the Information Commons, the lovely, large and comfortable library of the University of Sheffield. Buried amidst its many shelves, within its bright and spacey interior, I found one of the funniest books I’ve ever had the pleasure to read. About grammar and punctuation, no less! I remember reading the book for the first time on a train from London to Sheffield, and chuckling aloud at various paragraphs. Lynne Truss had a way with words, and it was a delight to hear from her; about her books, her career as a journalist and more. Speaking about her stint as a sports reporter with The Times, she said she once made the mistake of arguing that women should pay less for newspapers because there is a back section that they don’t read. Calling most sports reporters “macho testosterone-y chaps”, she admitted that sometimes sports reporters don’t ask difficult questions because they want to preserve their careers. Also, because they are fans of the sports person they are interviewing, she said she thought they feel like they must protect what they love. With humour and honesty, her session was pretty informative and light. Then I started running. It was already 4.30pm! 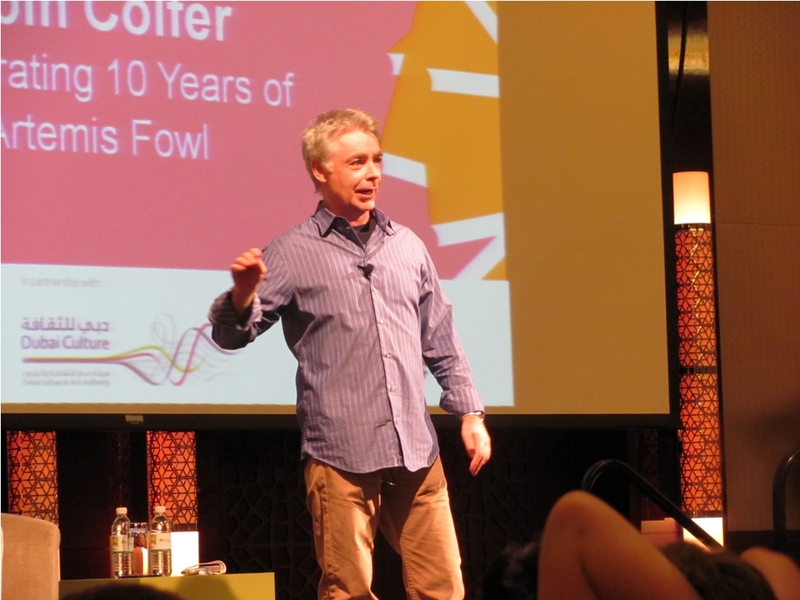 I’d bought a ticket to Eoin Colfer’s session and I was very excited. I’d read the first three Artemis Fowl books when I was younger and actually thought that was it, that the series was over. When I saw he was coming for the festival, I found there were many more books! Aghast at having made this oversight I booked myself for the session, which, when I entered, had just started and filled to the brim with young kids, teenagers and their parents. I was probably the oldest fan in there for all I knew! The session was an absolute blast. For one, within 10 minutes in, he made two Star Wars references (parasailing Ewoks and Darth Vader, if you were curious) and had the audience in splits. Then he regaled us with stories about what inspires events in his books, enacting events from his childhood years with such enthusiasm, you forgot how old he was. He revealed that the lead character in his books, Artemis Fowl, is based on his elder brother, while Mulch Diggums, the fart-filled mud-eating dwarf was based on the younger. 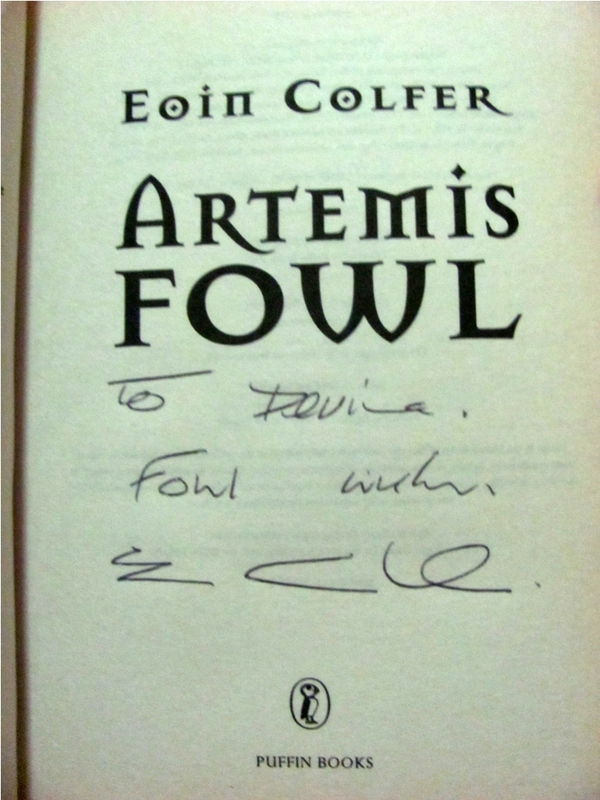 When asked what his next Fowl book would be called, he left us in tears when he said, “Artemis Fowl and the Philosopher’s Goblet of Azkaban”. 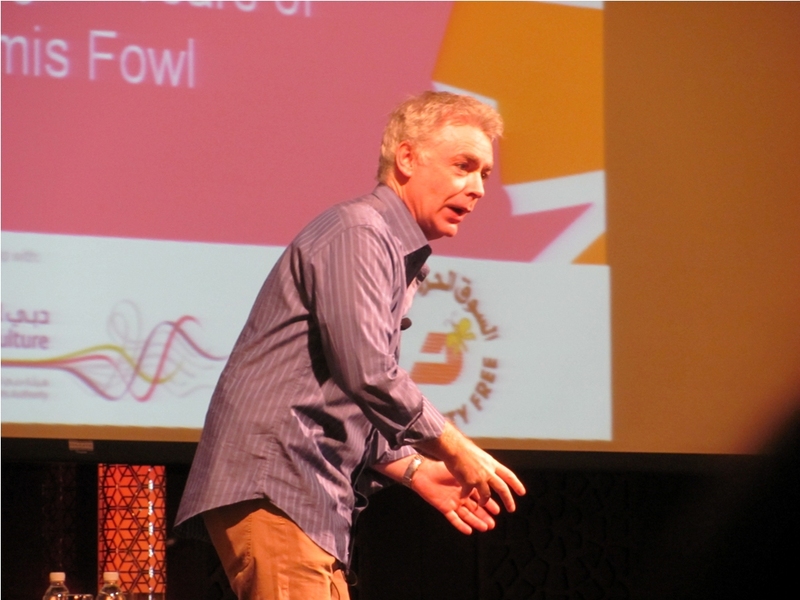 Other random bits from the session: he said that one of his favourite books (that he had written) was probably Airman; that the inspiration for Holly Short (from the Fowl series) came from one his feisty students; that him and his son ribbed each other quite a bit. Someone asked him if the Fowl books would be converted into movies a lá Harry Potter and he exaggerated with aplomb the amount of time he’s been waiting for it happen. He was a delight to listen to, and when the hour was up, it left me wanting for more. I left the venue, tired, legs aching but satisfied. 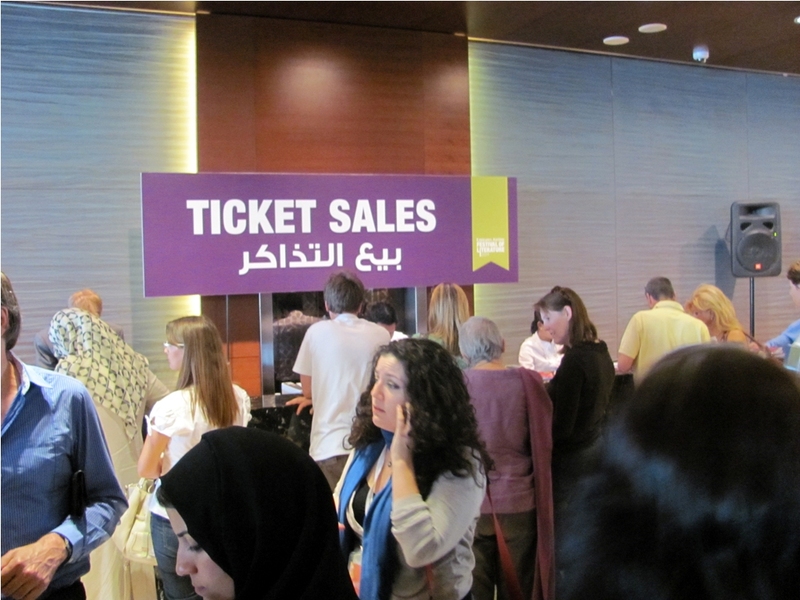 Dear Emirates Lit Fest…I can’t believe I’ve never been before. But you’ve found yourself a regular visitor.